The truth is that most of the scars cannot be completely erased. Luckily, there are modern science-based treatments that help to significantly improve their appearance, making them fade and diminish in size. Topical scar removal creams are one of the most preferred non-invasive scar treatment options. However, looking for the formula, which will meet your requirements may be tricky. Misleading advertisements and inadequate information are often the main causes of making the wrong decision when looking for a scar healing product. In this article, we will guide you on how to choose the best scar removal cream for your individual scar type and skin characteristics. The scar creams listed below are sorted based on patients and dermatologists recommendations. The active ingredients in most formulas are scientifically proven to reduce the appearance of scars, helping to restore the damaged tissue. 3 Which is the most potent scar cream for surgical scars? 4 Which scar removal cream is good for old scars? 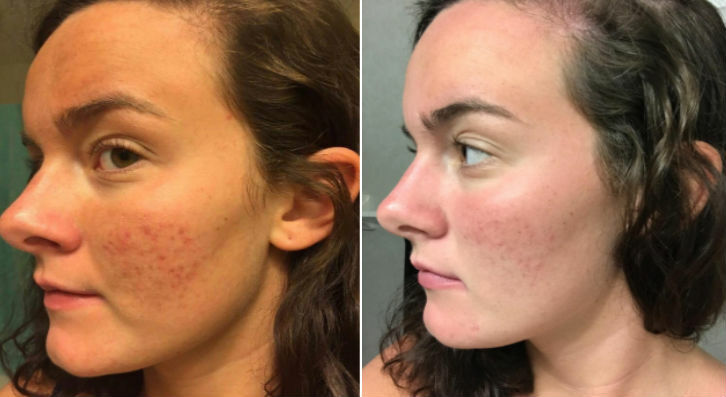 6 The most effective Scar Removal creams for acne scars? 7 Which is the most effective scar gel? 9.1 What are the active ingredients that make an effective scar removal cream? 9.2 What is a scar removal cream? 9.3 What helps scars go away? 9.4 Is vitamin E oil good for scars? 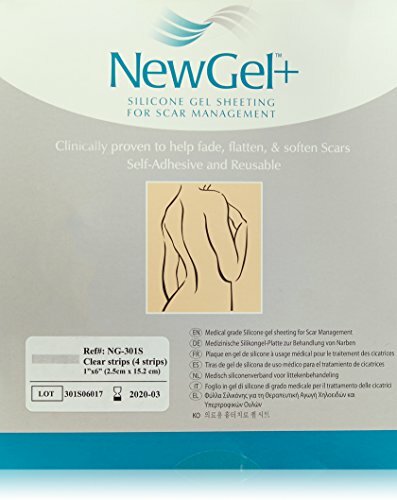 NewGel+E is one of the top-rated gels for scars. 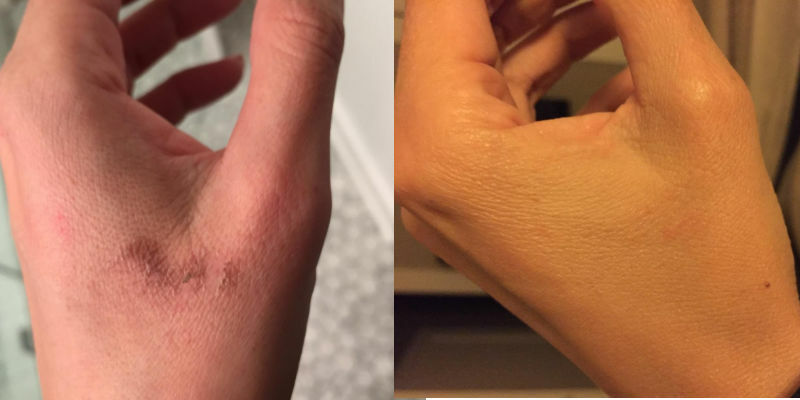 The great reputation of this scar recovery gel is due to the clinically proven ingredients it contains. Something that distinguishes this scar gel is the fact that it is suitable for the treatment of multiple scar formations, varying in type, size, and shape. 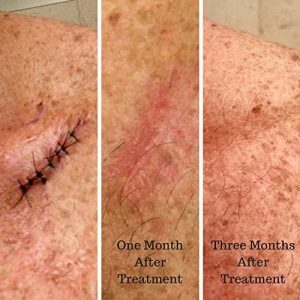 Both newly formed and older scars can be successfully treated in a fairly short period of time. According to most patients, who tried this scar removal formula, the simple ingredients list, combining medical-grade silicone (also known as polysiloxanes) and tocopherol (a type of vitamin E) make NewGel+E way more effective and safe, compared to other scar removal creams. Often, such formulas contain more than 50 ingredients, some of which have a proven negative effect on the skin surface – they may either contain irritants or harmful preservatives and these won’t help the scarring recover faster. Medical-grade silicone is used to keep the skin well moisturized, by creating a hydrating barrier on it’s surface, while promotes the scar healing process. Tocopherol, on the other hand, provides a strong antioxidant effect and helps the affected scar tissue regenerate quickly. 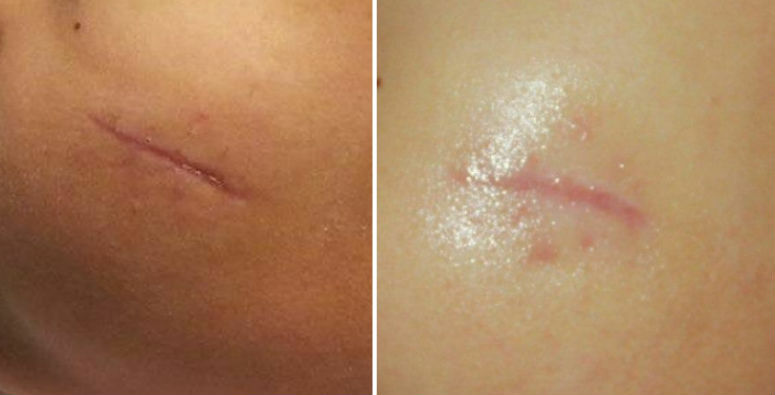 This is why NewGel+ is rated number one in our scar removal creams list. Read our NewGel+E detailed review here. 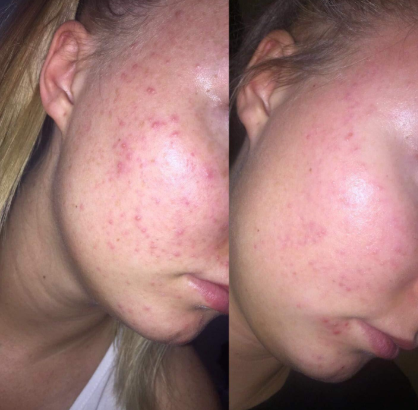 I’m so happy with the results and can’t wait to see the effects after several months use. Read our Puriderma detailed review here. If you are trying to find something unpretentious, yet effective, Mederma Advanced Scar Cream is the most suitable option for you. The active ingredient in the formula is Allantoin , which is proven to improve the appearance of scars and fasten the process of skin regeneration. 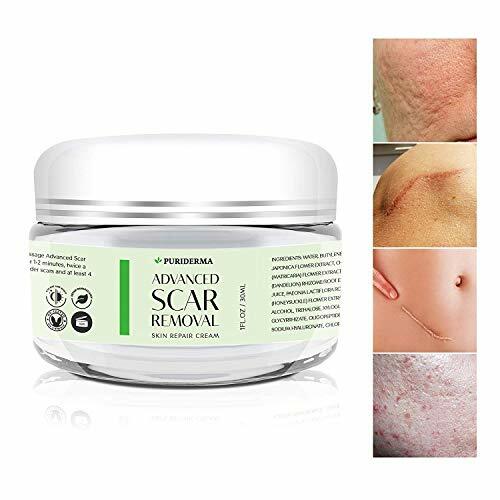 Even though a prolonged application may be needed, almost all patients report having a positive effect of the treatment with this scar removal cream. It even worked on some very old scars. The key is to use it consistently. It doesn’t work overnight, but over time it does. As expected, newer scars tend to improve their color and texture faster (you can start applying the product once the wound has completely healed). People are generally happy with this product – it is one of the cheapest scar removal creams, providing multiple beneficial effects (tested and proven to improve the overall appearance, color, and texture of scar tissue). 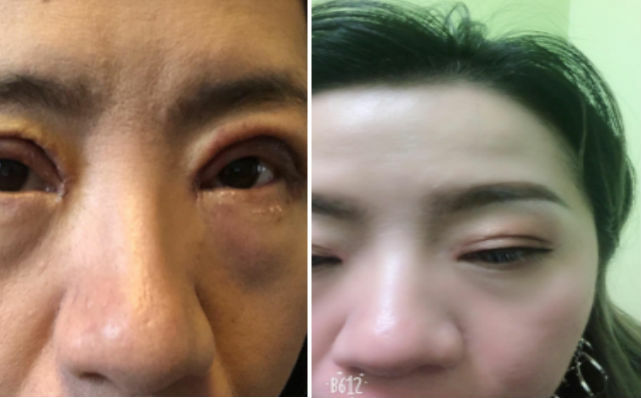 However, most patients expect visible improvements within the first days of application but the truth is that the healing process requires persistence and regular application. 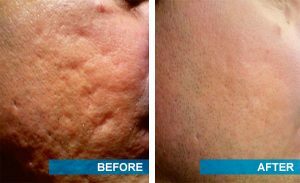 The effects people try to obtain may come after weeks, even months of treatment with this scar removal cream. I’ve been doing it every single day at bedtime. 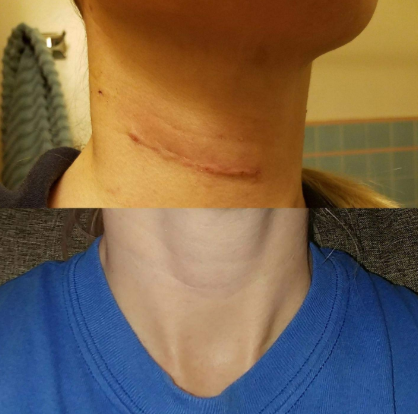 The picture on the left is my scar on day 7. The skin started peeling off at this point. The picture on the right is day 12. Read our Mederma detailed review here. Which would you choose – a scar removal cream that is developed by a plastic surgeon and a dermatologist or a clinically proven one? Because you can have both. We tend to have higher expectations for scar removal creams, created by professionals in the field when it comes to the largest organ in our bodies, the skin. Scarless MD is one of the most effective scar removal creams. Unfortunately, the price aspect is disturbing, according to those, who are interested in this scar removal cream. The formula is relatively expensive, as it contains high-quality ingredients, while it will be enough for a prolonged period of time. 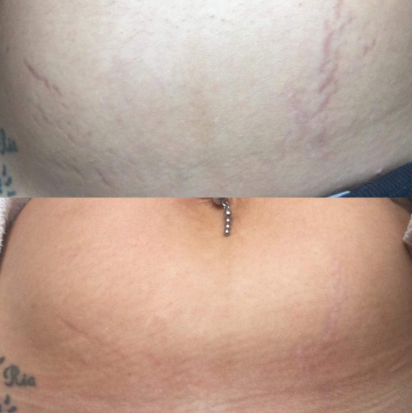 The results are amazing and the scar removal cream is not greasy or slimy at all. I will continue using it until it is finished as the results are visible on a nearly daily basis. I recommend this ScarlessMD to anyone looking for an effective scar removal cream! Read our Scarless MD detailed review here. Suitable for the treatment of surgery, injury, burns, acne etc. This scar fading gel, developed by Advanced Bio-Technologies, is made of 100 per cent dermatologist-recommended silicone. Kelo-Cote® Gel is suitable for the reduction of hypertrophic and keloids scars (resulting from a surgery, injury, burns, acne etc.) and can be easily applied to all body parts. It is invisible, without causing any discomfort or pain. Kelo-Cote® Gel has been clinically tested and results show it successfully flattens raised scars and improves the redness, associated with scarring. This patented silicone gel will provide optimal results for 60-90 days, depending on your personal skin characteristics and the severity of the scarring. This silicone scar gel aims to keep the affected skin well moisturized while improving its’ elasticity. Plastic surgeons often recommend Kelo-Cote® Gel for post-surgery treatment. The scar gel can be applied to all types and sizes of scarring and is suitable for children and people with a more sensitive skin type. What is more, patients are definitely satisfied with this scar removal gel. Multiple comments say a little goes a long way but it may take a while before you can notice the results. Severe scars may need 2-3 months before they start improving their appearance, as the process of cell regeneration is slow, it takes time and persistent treatment. Read our Kelo-cote® Gel detailed review here. There are many people who prefer using scar removal creams during the night, as such formulas often have a thicker consistency, respectively, are not easily spreadable. For example, if the cream/gel should be applied to the facial area, it may leave a residue, which is unpleasant for some. This scar removal cream offers the perfect option for scar recovery, while you are sleeping. Dimethicone 2% is the active ingredient. It is proven to promote skin healing by creating a protective barrier and improve the hydration in the area of application. Patients report that Mederma PM Scar removal cream is beneficial for repairing the epidermis by promoting skin cell regeneration. 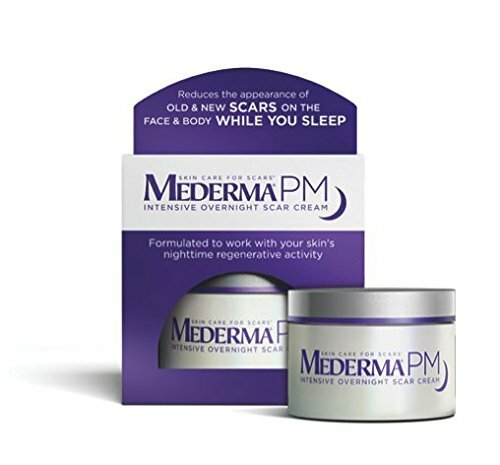 Mederma PM scar removal cream is suitable for the reduction of newer and older scars. As usual, older scars (especially the years’ old ones) require longer application. Sometimes, it could take up to six months to see the improvements. We have noticed that multiple people bought Mederma PM for the removal of surgical scars and reported very positive results. 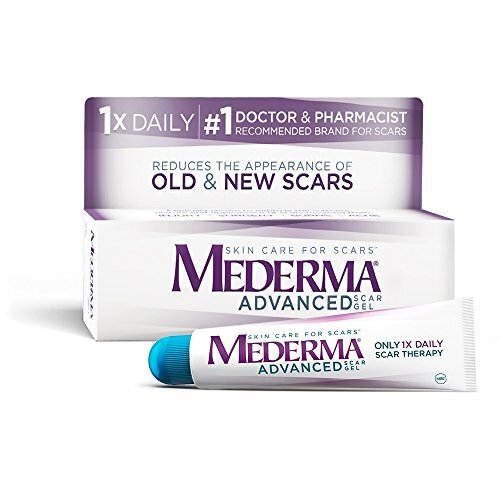 They also claim Mederma is one of the most effective scar removal creams they have used. 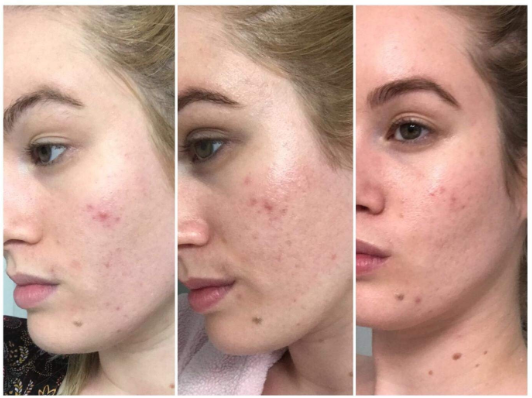 Mederma PM appears to be effective on acne scars as well – there are people who managed to make the facial scars fade and become barely visible. The smell is strong and old-lady-ish. Read our Mederma PM detailed review here. 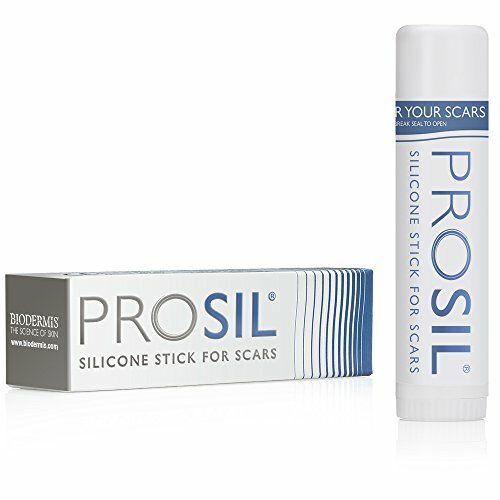 We present to you Pro-Sil, a silicone-based formula for the removal of scars. Almost 80% of all patients ranked the formula excellent, multiple comments say it is effective for newer and older scars. However, you need to be persistent, your scar treatment journey may take more than 8 weeks. This really works, I’ve been using it consistently and I have noticed discoloration and decrease in my kiloid scars. I highly highly recommend it. Pro-Sil aims to reduce and improve the appearance and fade the discoloration of both hypertrophic and keloids. This patented formula can be applied to surgery scars, acne, trauma, cosmetic procedures, deep cuts, and burns. Read our Pro-Sil® Patented Advanced Formula detailed review here. The simple truth is that not everybody likes it. Another fact about this scar removal cream is that there are loads of fake creams on the market, claiming to be the original BioCorneum. So, you should be extremely careful with BioCorneum Plus – always seek for the one, manufactured by Sientra Inc.! According to those, who tried the scar removal cream, it is indeed effective for the treatment of newer and older scar formations. According to patients, visible results will come fast. I recently had a nose job and breast surgery and this has been the best for my scars and have improved with time. I have used other but the most rapid changes have come from bioCorneum. 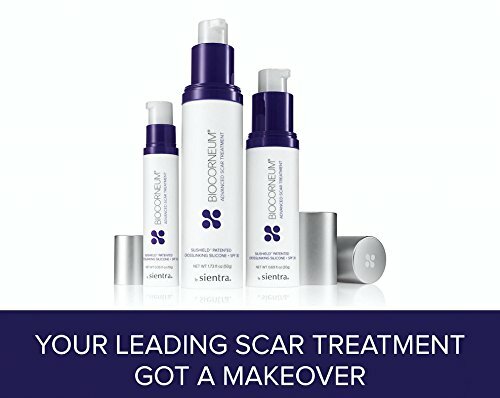 BioCorneum uses a patented technology with medical-grade silicone plus sun protection in order to provide optimal efficiency for scar management, while provides additional benefits and reduces the damage on the areas, which are usually exposed to the sun. Overall bioCorneum is one of the most effective scar removal creams. ScarAway Silicone Scar Sheets are advanced functional products, specially developed to shrink, flatten and fade hypertrophic and keloid scar formations. The method is clinically tested and proven beneficial for the visible reduction of scars. The patented silicon technology used is absolutely safe (even for lactating women). Silicone sheets are applied topically, reaching deeper layers of the skin. According to recent researches, ScarAway sheets provide visible improvements in scar thickness, color, and size. These sheets are self-adhesive and, according to the manufacturer, are comfortable to wear. This silicone technology is often used by plastic surgeons and medical employees. 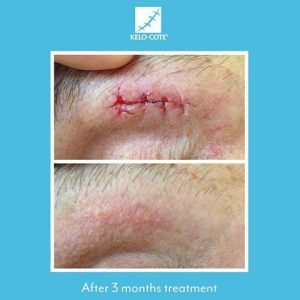 Another positive aspect of this scar healing method is that silicone-based treatment has multiple clinical evaluations, proving this is the most beneficial effects on the damaged skin. People say they obtained positive results after several weeks of usage. As with any other scar removal product, silicone sheets can only be applied to a healthy skin (when no bleeding or swelling are observed). The longer these anti-scar sheets are applied to the skin surface, the better the results you’ll get. One of the most positive features of this formula is that ScarAway silicone sheets are specially designed for people with sensitive skin, they won’t cause irritation or redness. Each sheet can be used multiple times (after being washed and air-dried). According to the manufacturer, these thin, flexible and durable silicone sheets will provide optimal results in about 12 weeks. 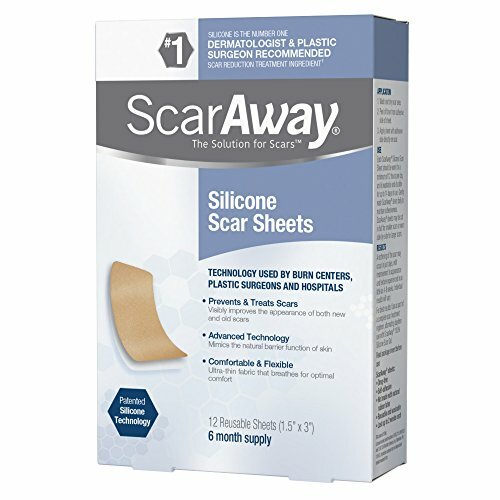 Read our ScarAway Silicone Scar Sheets detailed review here. Defining the potential effect of this treatment method is almost impossible for the time being, as the number of people who tried NewGel+ Strips is insignificantly low. An important characteristic of this method is that it uses medical grade silicone, which has already been evaluated and proven effective during multiple clinical trials. Comment from discussion Top surgery scar healing. But let’s be realistic here – those few patients who decided to leave a review on the Online retailer’s website they do not seem impressed with their results. More than 20% gave NewGel+ Strips a one-star rank (the lowest one), which is indeed disturbing. What a waste of money, better off buying the gel. Strips are too thick. Won’t adhere to clean, non oily skin, fall off and get lost. Last but not least, let’s not forget the price factor. According to most patients, NewGel+ Strips are overpriced. Compared to other scar removal creams, we made the same conclusion. Read our NewGel+ Silicone Gel Strips detailed review here. Scarinex combines a scar removal cream and a skin rejuvenating gel to provide optimal care for the damaged area. The two formulas work in conjunction with each other, providing 5 different types of 100% medical-grade silicone with a strong rejuvenating and protecting effect on the skin. 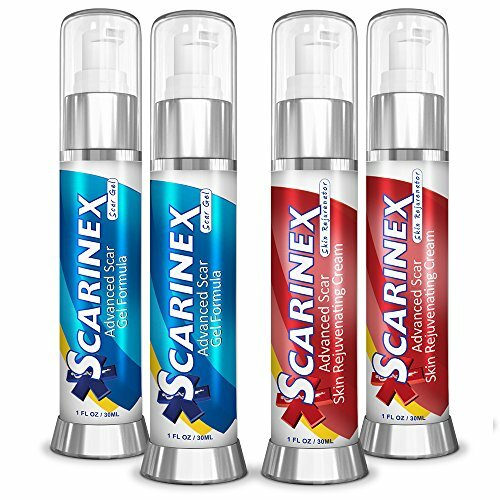 According to the product description, Scarinex is formulated by licensed medical practitioners and all the ingredients, combined in this scar removal cream and gel are supported by clinical data, proving their efficacy in the treatment of scars. Both products are FDA-registered and GMP-certified, which makes them absolutely safe for use. Another great aspect of Scarinex is that the company offers a refund in case patients are not satisfied with their results (excluding shipping fees). Scarinex can be applied to all types of scars even those that appeared on the face as the two formulas create a strong and invisible protective shield, keeping the optimal moisture levels and constantly protecting the damaged skin from environmental contaminants and toxic compounds. The rejuvenation cream gel will help the redness and discoloration, associated with scars. Read our Scarinex detailed review here. Finding the most suitable scar removal cream, aiming to improve the appearance of scarring is not an easy task. Scar formations result from biological processes of wound repair, following surgeries, burns, cuts, acne etc. Usually, people search for a universal anti-scar cream, without knowing that different scars should be treated with different medication. This is why we divided this article into sections, according to the causes of scarring. 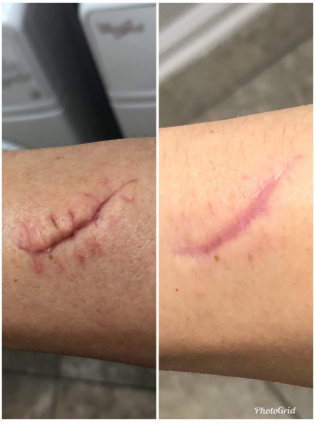 And now, just for your inspiration, here is a photo of a 5-year-old scar that almost faded away in just 6 months after being treated with a modern silicon scar removal cream. So, yours can fade too. Which is the most potent scar cream for surgical scars? Surgeries are a common prerequisite for the formation of scars. This rule even applies to plastic surgeries, regardless of the surgeon’s skills. 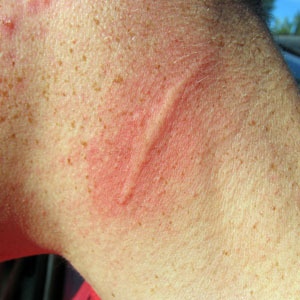 There are certain factors that define whether scarring will form or not. Such include the severity of your scar, the overall condition of your skin, your personal habits etc. Following the postoperative instructions and recommendations given by the surgeon are the also important prerequisite for the rapid healing and recovery of the skin after an operative intervention. The next step is the application of anti-scar topical medicines. They are a must in case you would like to reduce the chances of scar formation. Which scar removal cream is good for old scars? Old scars are problems for those expecting miracles. The simple truth: old scars require more persistence and patience, while you’ll have to accept the fact that they won’t recover completely. There are multiple expensive treatments and procedures (such as various ointments, scar removal creams, chemical peels, laser scar procedure etc) aiming to improve the damaged skin. Some of them usually cost more than the average patient can afford. Your face requires more specialized care. Facial skin is usually thinner, more sensitive, more vulnerable and prone to infections. Your daily skin care routine should take place twice a day – in the morning and in the evening. The specific measures vary depending on the time of the day, the specific needs and condition of your skin. In case you have a scarring on the face, you should be extremely careful before selecting a scar removal cream. Most formulas contain ingredients, which may lead to irritation, redness or increased sensitivity. The facial skin is more prone to infections, this is why you need to find the most suitable options for you. The most effective Scar Removal creams for acne scars? When it comes to facial scars, most of these skin formations are caused by picking or severe forms of acne. 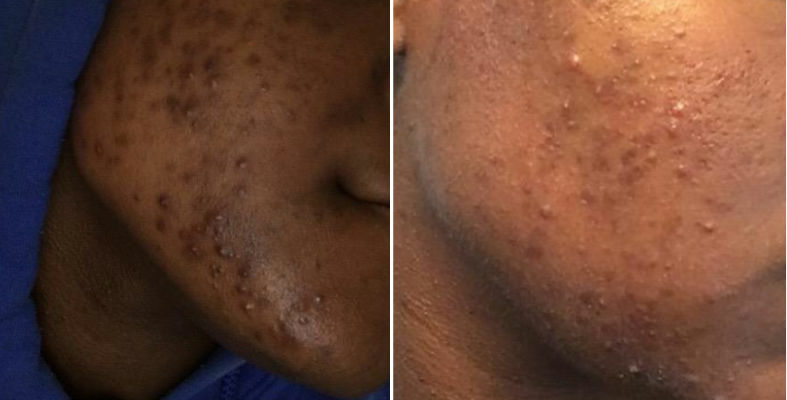 Acne scars often affect our self-esteem, this is why it is so important to eliminate the problem as soon as possible. Which is the most effective scar gel? Topical scar gels seem to be the most preferred options for the removal of scars. They provide rapid results, while people who bought them consider them very comfortable to wear. 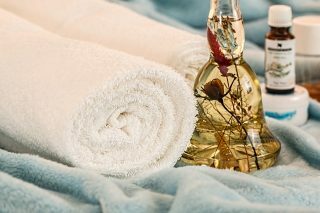 Scar gels should be applied twice a day but it is very important to massage the scar gel chosen into the area affected until there is no shiny, wet, or sticky feeling left. 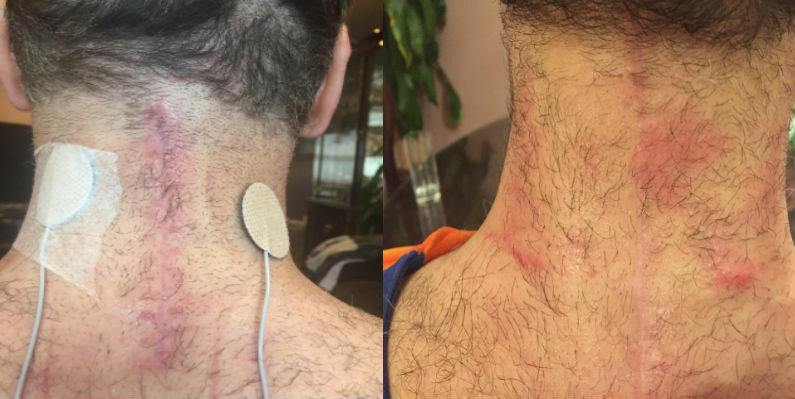 NewGel+E seems to be the effective silicon scar gel so far, according to both patients and professionals in the dermatology field. Lots of people share their impressive results. some of them added photos before and after the treatment process. The high satisfaction rate among patients is due to the combination of clinically proven effect, personal experience, and affordable price. Scars after skin burns are formed when the tissue is damaged by high temperature or chemical substances and is replaced by connective tissue. Usually, burn scars are red at first, then, a process of lightening or pigmentation begins. 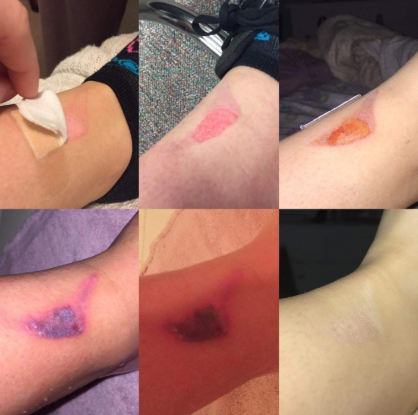 Unfortunately, there are no chances for complete recovery when it comes to deep burns. 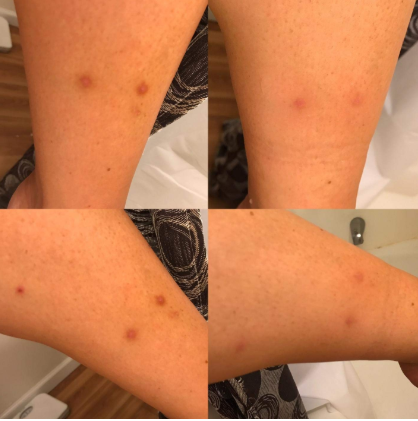 The treatment of scars after skin burns is difficult, prolonged and sometimes disappointing because there is no universal therapy to solve the problem completely. However, there are several scar removal creams, providing positive results in the treatment of scarring, caused by skin burns. What are the active ingredients that make an effective scar removal cream? What is a scar removal cream? А scar is a skin that has grown to the point where the former has been disturbed due to a particular reason. This new skin does not have the same properties, does not have the same elasticity and color. Scars are stiffer and often protruding than the skin around them, making them easily noticeable and not very pleasant. And there are plenty of options when it comes to scar removal. One of the most affordable ones is the purchase of a scar removal cream – a mixture of ingredients, aiming to restore the damaged tissue to its’ normal appearance. In fact, every treatment available aims to make them less visible and improve their appearance, as they cannot disappear. Yes, there is no 100% successful method for the treatment of scars. And if someone promises a complete scar removal, consider it a lie. What helps scars go away? Before you start treating the scar with anything, you first need to determine what kind it is. Basically, scars are atrophic (often formed after chicken pox or acne) and hypertrophic (the cutaneous condition characterized by deposits of excessive amounts of collagen which gives rise to a raised scar, usually form after cuts and burns). 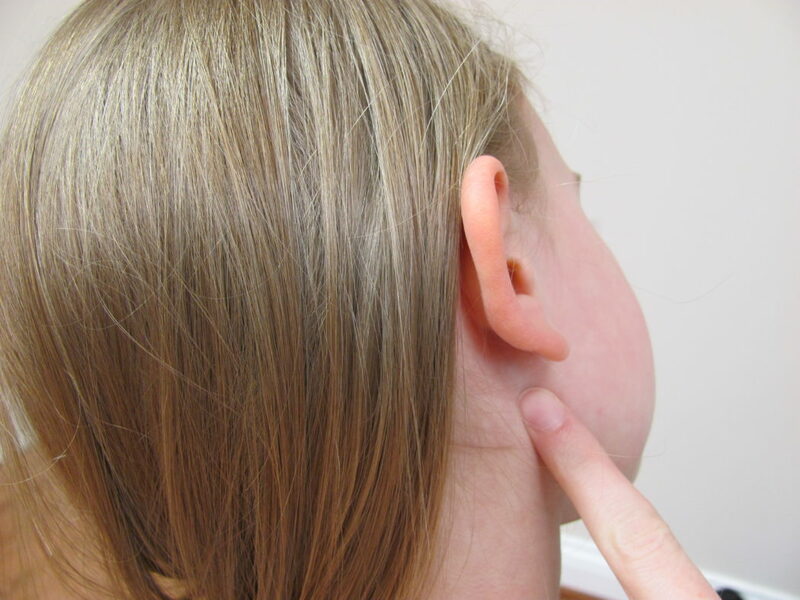 Atrophic and hypertrophic scars have their own characteristics that make them look different. It is highly recommended to consult a dermatologist before you start treating a scar. There are various scar removal products on the market, and their costs are quite acceptable. People usually prefer creams, as very good for healing scars and are easy to apply. You should be aware that scar removal creams perform better on fresh scars than on older ones. 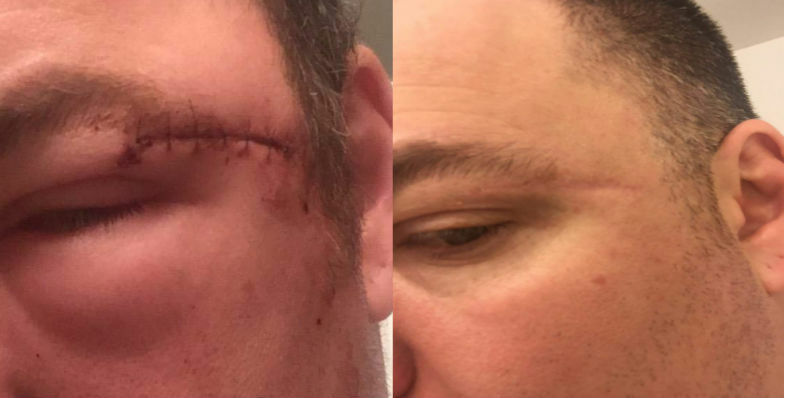 This option is the best treatment for scar removal after surgery. Also, the period of scar healing usually lasts several months, so you need to be patient in order to obtain satisfying results! Is vitamin E oil good for scars? This common myth about the treatment of scars should finally stop spreading. Multiple studies have proven that vitamin E does not improve the appearance of the scars, and may even worsen the condition of your skin. The effects of topical vitamin E on the cosmetic appearance of scars. Best scar treatment creams, recommended by patients and doctors with a proven beneficial effect in skin healing. I got dermalmd scar serum 2 weeks after abdominal surgery. The scars started diminishing within days, The bumpiness was probably gone in a month. I use this daily and we will see when they go completely away. 4 months so far. 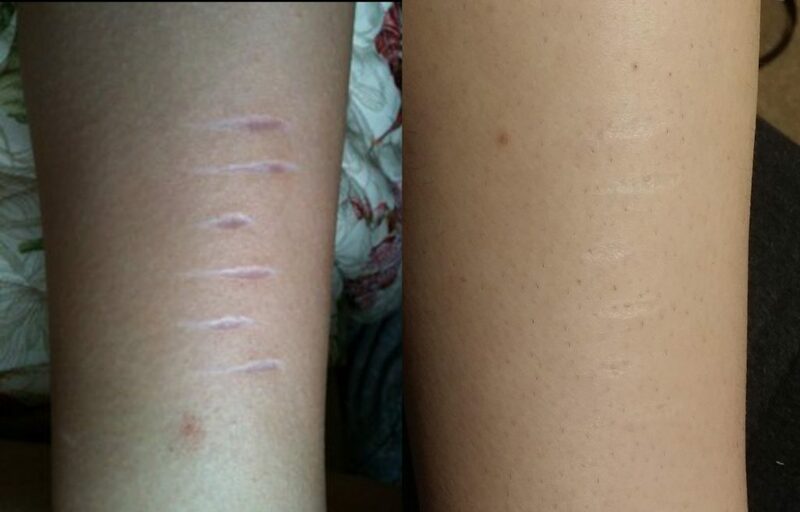 I have also seen great improvement in a 5-month-old scar from being scraped by coral.